Fresh roasted asparagus is not only great for you (tons of Vitamin K and a good bit of Vitamin A) but when cooked well, tastes great too. Forget that salty, squishy, canned asparagus. Give yourself an opportunity to eat well with this roasted savory version. To prevent fratricide, I typically have to grab a couple of the “bunches” of asparagus when I’m in the produce section and double or triple the recipe because my children turn into my minions and dance around with forks trying to get the last piece. It’s just easier to buy more asparagus than it is to vanquish a demon. 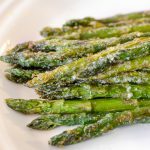 This roasted asparagus recipe is great for you with lots of vitamin K.
Wash the asparagus and snap the bottoms off where they naturally break. On a baking sheet, rub the clean, trimmed asparagus with olive oil. 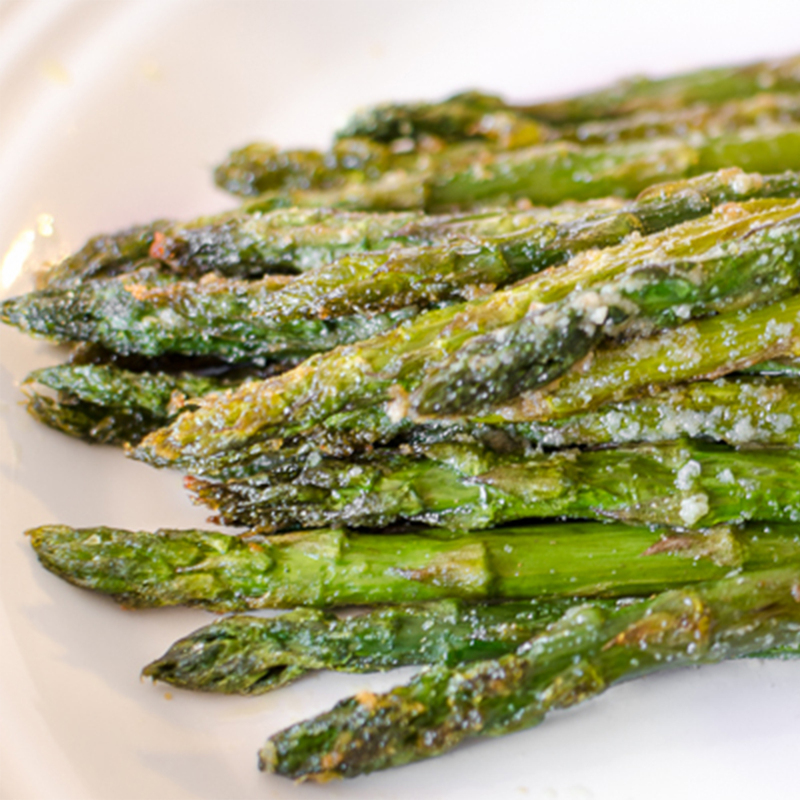 Sprinkle the garlic powder and salt on the asparagus and roll in the olive oil until fully covered and seasoned. Place in the preheated oven and roast for 20 minutes. Once slightly crisped, remove from the oven and serve warm. For a crispier version, turn the heat up to 425 degrees instead of 400.